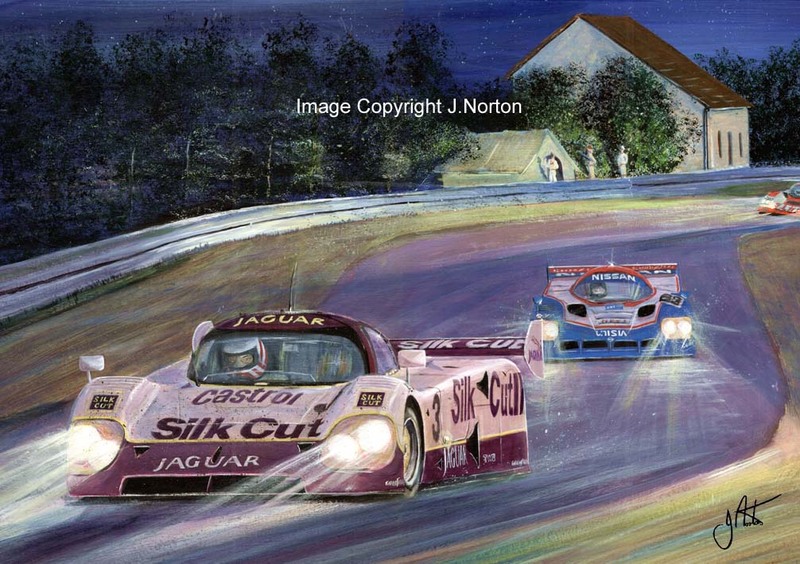 John Nielsen in the Jaguar XJR-11 leads the Nissan of Mark Blundell in a close battle during the night at the 1991 Le Mans 24 hours. Nielsen together with Martin Brundle and Price Cobb lead home a Jaguar one/two in the race. 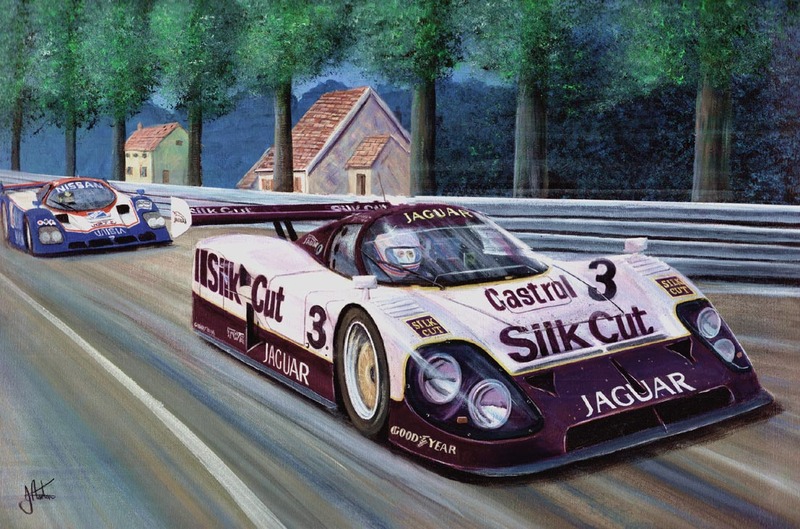 Martin Brundle in the Jaguar XJR-11 leads the Nissan of Mark Blundell on to the Mulsanne straight in the 1991 Le Mans 24 hours. Brundle together with John Nielson and Price Cobb lead home a Jaguar one/two in the race.